There are times in your life when you stumble across a work of art so spectacular that you are left speechless by its sheer power. This has only happened a few times to me (Coheed and Cambria, 1984, The Road) and most recently it was with John Adjvide Lindquist’s breathtaking novel, Let the Right One In. 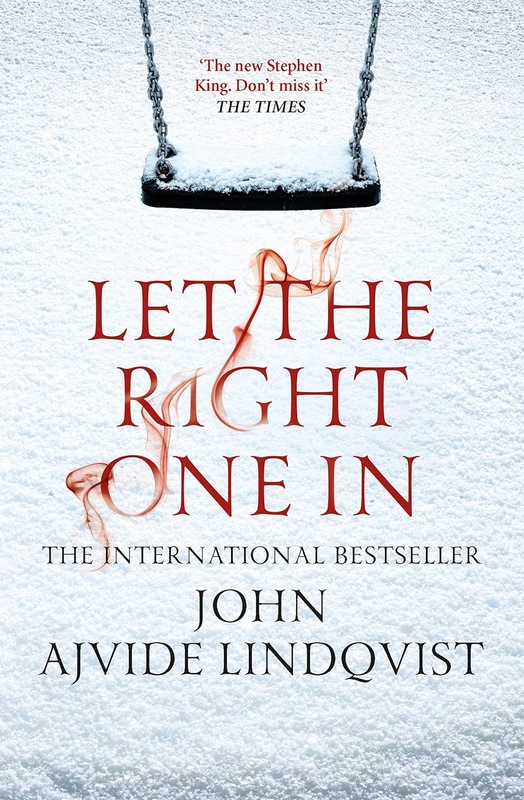 In recent years, this book has gained fame for its film adaptations, both the Swedish and the American versions, but for someone who loves to read as much as watch films, this novel really struck a chord. It is a vampire book, yes, but it is so much more. There are genuine moments of love and happiness interspersed in a novel that is almost as disturbing and horrific as anything else I have ever experienced. This novel crosses boundaries in a way that would make Chuck Palahniuk and Bret Easton Ellis proud, although Lindquist’s characters and prose are far superior, at least in my opinion. The novel follows young Oskar as he tries to traverse a landscape of incessant bullies, neglectful adults, and divorced parents who seem to care more about arguing than they do about his well-being, with the backdrop of a Swedish town. Oskar is not well and exhibits many signs which showcase his very frail grasp on reality. One night, while out imagining how he would handle his bullies if only he could muster the courage, a girl named Eli moves into the apartment complex. While she says things such as “We can’t be friends,” this does not last and they begin to form a strong bond. Her caretaker, an incredibly creepy yet sympathetic Humbert Humbert clone, does not like her new friend but he is too busy taking care of he needs to stop the friendship fully. As Eli and Oskar become friends, more strange and otherworldly events begin to take place. One brilliant aspect of the novel is its ability to jump between a very large cast of characters without losing its narrative or power. Oskar and Eli are our main characters but the supporting cast in the novel are just as important and as an audience, we become just as attached to them as we are the main duo. As secrets are revealed and Eli’s true nature both become apparent, the climactic ending inches closer and ends so violently, and yet hopeful, as to leave the reader down right shellshocked. This book, while incredible, is not at all for the faint of heart or stomach. There are rather graphic depictions of pedophilia, bullying, and incredibly dark violence. These 12-year-old children are presented with a life that most 40-year military veterans wouldn’t be able to handle. The scene of Eli’s origin made me put the novel down for a while as it messed up both my mind and my stomach. With all of this said, I have to state that the book carries such emotional weight that I can’t recommend it enough. Every year, two to three of my high school students ask to read the novel and, after parental permission is received, I lend the work. Within days I am treated to one of two responses: disgust or awe. Almost always, awe is the response and I couldn’t agree more. This novel is everything that vampire fiction should be. It is a brutal trip, both physically and emotionally, but contains the weight of the world in emotional impact. 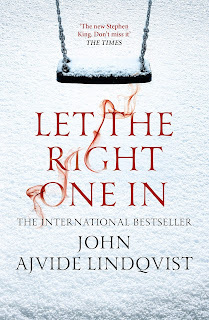 Lindquist is a genius and after reading this, you will understand why exactly he is considered the Stephen King of Sweden.